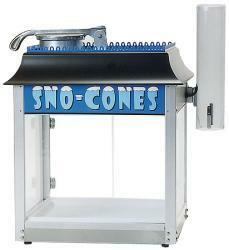 Our sno-cone machines have powerful motors, sturdy cabinets and attention-getting graphics. Just add ice and syrup! Make room at your concession stand for this crowd favorite.